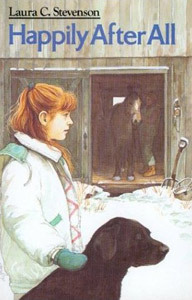 Happily After All was one of the Dorothy Canfield Fisher List Top Ten, 1990-91. It was also shortlisted for the William Allen White Award (Kansas), the Mark Twain Award (Missouri), the South Carolina State Librarians' Award, 1992-93; and the Nebraska Golden Sower Award, 1993-94. Danish translation, 1992. German translation, 1996. Laura's column "One Minute Reviews" has appeared bi-weekly in Wilmington, Vermont's Deerfield Valley News since 2015. 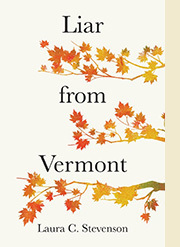 In April 2018, she found that no Vermont periodical consistently reviews all fiction and non-fiction by Vermont authors, so she started a series to fill that void. Published reviews from that series and some earlier reviews of local authors are listed with links to a scan of the printed copy. Reviews still in queue are listed without links until they appear in print. 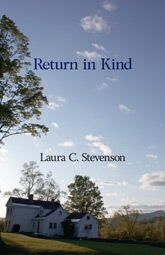 The books reviewed in this series are available through Wilmington's Pettee Memorial Library, the Whitingham Free Public Library, and locally owned Bartleby's Books in Wilmington. Lindsey Stoddard, Right as Rain . Harper, 2019. Nearly a year ago, eleven-year old Rain Andrews lost her charismatic teenaged brother Guthrie in a car accident. What's more, she somehow lost her joking, gardening father, who now spends his days in his closed room. Her mother has become frenetically busy, and she has gotten a brain-research job in New York City—a fresh start, she insists. And so the family leaves Vermont, tearing Rain from her track team, its coach, and her best friend. Some fresh start, thinks Rain, listening to her mother's fake enthusiasm about the new furniture in their tiny apartment and her father's gripes about bringing gardening tools to the city. She's upset by her parents' incessant arguments, especially because as a faithful reader of Dr. Cyn's blog on grief, she knows that couples who lose children have only a one in four chance of staying together. She's determined to help them beat the odds; so determined that she doesn’t share her guilt about her secret role in Guthrie's accident. The Andrews' new apartment in Washington Heights is only 288 miles from Vermont, but to Rain it feels like a thousand. There's traffic. Stoplights. Music outside windows. And hundreds of people, most of them Dominican and Spanish-speaking. Suddenly, she's no longer like everybody else; she's one of a kind. On her first day of school, she's the only one not wearing a uniform. Her skin color doesn't match anybody else's in her class. She's the only one whose Spanish isn't fluent, and the only one who hasn't done the 25 hours of community service required for passing into seventh grade. But then friendly, stuttering Amelia escorts her to gym, and the teacher makes the class run twice around the school. Running is something she can do—and so can Amelia and Frankie, the unaccountably hostile daughter of her apartment's Dominican super. The three girls beat their entire class, a victory that gets Rain onto the track team and begins tentative friendships. Rain and Amelia join Frankie in community service at Ms. Dacie's house, where kids hang out in a supportive atmosphere. There's a race coming up, too, and the girls' team has a real chance … except it's on the anniversary of Guthrie's death. This is a fine book, with an appeal not limited to middle schoolers. Stoddard, who once taught at MS 324, the school in which she places Rain and her friends, deftly catches the vibrant atmosphere of Washington Heights. She also sets her subtle portrayal of the Andrews' emotional paralysis in a larger context of misfortune. Frankie has lost her best friend, into whose refurbished apartment Rain has moved. Amelia stutters. Ana's mother struggles to afford food. Nestor, the intelligent old man Rain meets when she serves in the church soup kitchen, is apparently homeless. When Rain treats him to cocoa in a café near her apartment, his presence shocks its laptop-tapping clientele in a way that bothers her—not least because their skin color matches hers. Gentrification also affects Ms. Dacie as she loses the funding that supports her house, and a Mr. Slick Suit wants to buy it. The threat of seeing their refuge turned into a "new bar with chalkboard menus" makes Rain and her friends plot ways of saving it, in a team effort that eventually includes Rain's parents. There are no miracles here: Rain's parents separate, Nestor remains homeless, Ana and her mother still need extra food. But Rain gradually opens herself to her parents and her friends and finds that however hard change may be, she has a team behind her.